you’re also helping to support others in need. blinds for light control or shutters for a different look. beauty into the space. On a limited budget, the smart move is to invest in a focal point piece. It doesn't need to be the most expensive, but it should carry a significant impact. next phase of your design project. with a sense of budget satisfaction. 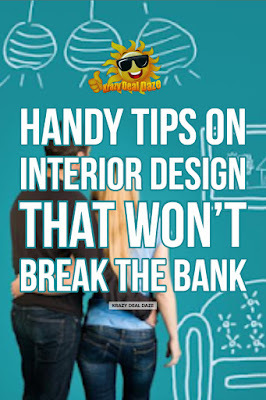 One of the most significant costs of professional interior design is the labor involved in some projects. It is not uncommon to hire professionals to handle installing a new floor or painting the walls. For someone on a budget, labor costs can put certain upgrades out of reach. Fortunately, a bit of DIY skill and some sweat equity can keep the budget under control. won't cost more than a pizza and a drink. Don't let your dreams of a well-decorated home go to the wayside due to budget concerns. the bank in the process. 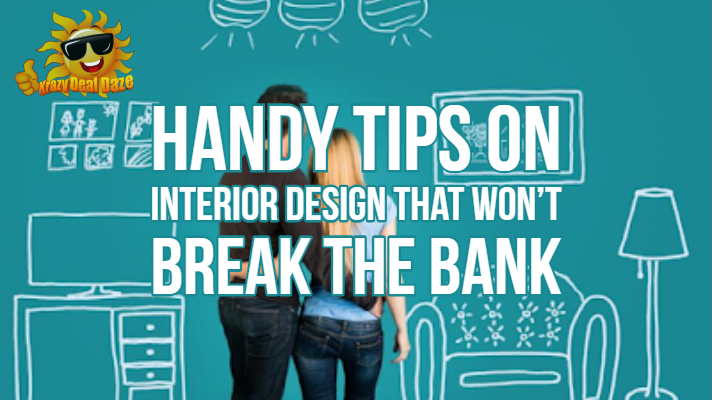 Thanks for stopping by to read our Handy Tips on Interior Design that Won’t Break the Bank. Which tip was your favorite? We would love to hear your feedback. Please let us know in the comments below! I agree I designed my own bedroom and everyone loves it. If u plan it yourself, you will love it vecbeca you will get exactly what you want because no one can interpret your dreams/imagination/expectations. Except you. That's just what I need! We are trying to do some renovations but the price of labor and materials is not something we can afford now, so it's nice to learn that we can just do it ourselves. These are excellent tips! I'm always looking for ways to save on renovations, especially since they add up so quickly! Awesome ideas! My parents were so into DIY that it feels weird to hire someone to paint or lay tiles haha. I also think used furniture is a fun idea . . . antiques add a unique look to your house! Good ideas, thanks to your post I have already some ideas. Second hand is definitively a good idea. There is so many stuffs that people don't want so why not.